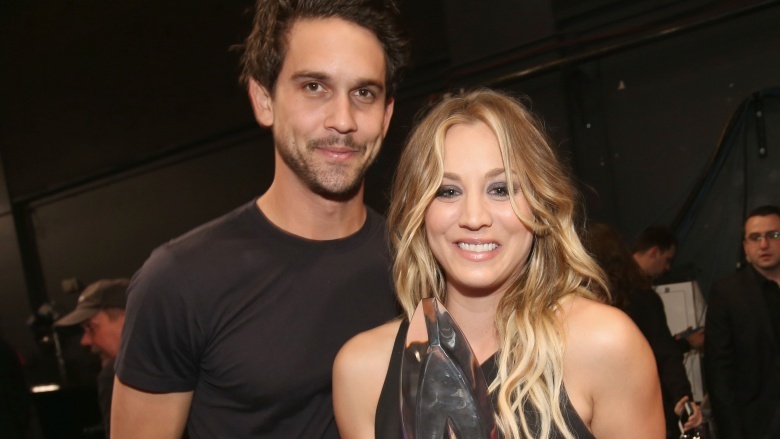 Let's be honest: No one was really shocked by Kaley Cuoco and Ryan Sweeting's divorce announcement. The Big Bang Theory star and the fledgling tennis pro were married for less than two years before pulling the plug on their union, and most people were surprised it even lasted this long. Here are a few of the huge red flags that waved ahead of the pair's September 25 split. 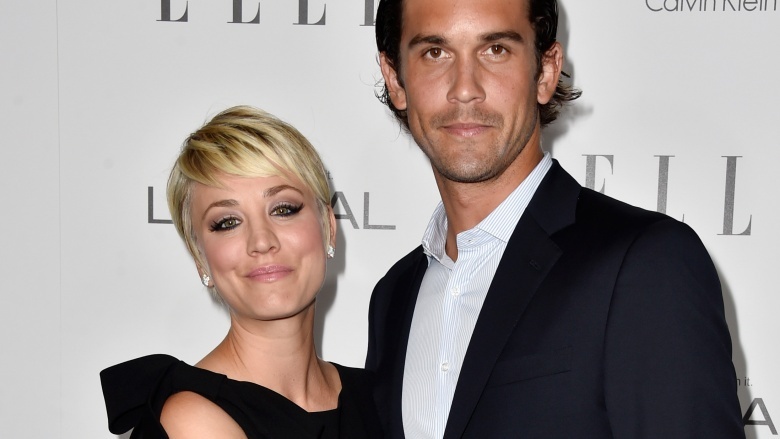 Kaley Cuoco and Ryan Sweeting met through pals on a blind date for dinner. The dinner went so well that he moved in with her the next day. Wait, what? Cuoco explained to Us Weekly, "I make quick decisions. I don't wait around." Maybe that's a policy that could use some reevaluation. She told Ellen DeGeneres, "By day two, it was so unbelievable, I said, 'This is it.' I know it looks a little crazy to some people." That's because maybe it should. Cuoco told Entertainment Tonight that Sweeting wasn't too sweet when he proposed to her in September 2013—a mere three months after their first date. "He actually started a little fight with me and threw me off," she admitted. "I was like, 'Oh my God, things aren't great.' He surprised me at the end of the night [when] he popped the ring out." Couldn't he, you know, just be nice? The pair tied the knot with a fire and ice themed wedding on New Year's Eve 2013. If you're doing the math, that's a total of about only six months of getting to know one another before getting married. During the first six months, most couples are still on their best behavior—it's still the honeymoon phase. That's not supposed to lead directly to the actual honeymoon. While a prenuptial agreement is a smart business decision, it's not necessarily a sign of promising romantic future. Thankfully, Cuoco—the highest paid actress on television (tied with Sofia Vergara)—and Sweeting signed one before jumping the broom. Matching tattoos is almost always a kiss of death for celebrity lovebirds. Cuoco got their wedding date inscribed in Roman numerals on her upper back, while Sweeting opted for a giant script "Kaley" on his wrist. Usually when a rock-solid celebrity couple is faced with reports of marital discord, they ignore it and wait for the 24-hour news cycle to find something else on which to focus. Not so with these two: In April, the pair took to Instagram to post a slew of smooching photos to combat rumors that they were on the rocks instead of just letting it go. Cuoco's relationships prior to Sweeting typically lasted about a year or two before biting the dust, and she was rarely single for long. She dated actor Kevin Zegers from 2003 to 2004, then Jaron Lowenstein (remember him from Evan and Jaron?) from 2005 to 2006, then Al Santos from 2007 to 2008. She began a top-secret relationship with Big Bang Theory co-star Johnny Galecki in 2008, keeping their lovin' under wraps until after they split in 2010. In 2011, she dated Christopher French (who's now married to Ashley Tisdale) briefly before shacking up with addiction specialist Josh "Lazie" Resnik. She and Resnik announced their engagement in October 2011, but they split by March 2012 … when she began a relationship with musician Bret Bollinger. After her split from Bollinger, Cuoco very publicly but very briefly dated Man of Steel star Henry Cavill … and we mean very briefly: after a ton of paparazzi photos emerged of them together, the pair called it quits after just two weeks. She began dating Sweeting less than a month after news of her Superman split hit the presses. Despite being split for years, it probably wasn't exactly a picnic for Sweeting to see Cuoco sucking face with Galecki on the small screen, even if it was just for work. In an interview just days before the split announcement, Cuoco said that Sweeting and Galecki actually loved each other. Perhaps it's because they knew they were about to have something else major in common. A recent Brunel University London study revealed (via USA Today) that people are most likely to post about their relationships on Facebook when they're feeling insecure. While we haven't seen Cuoco's Facebook feed (if she has one at all), the couple's Instagram accounts and press interviews were constantly flooded with over-the-top declarations of love for one another. Sources close to Cuoco and Sweeting told People, "They have two totally different personalities." Maybe their fire and ice-themed wedding was an omen. Pals of the couple noted to People that Cuoco and Sweeting looked "miserable" together in the weeks leading up to their split, even on romantic date nights out. "The tension was noticeable," an insider said. "You could tell that the honeymoon period had ended." 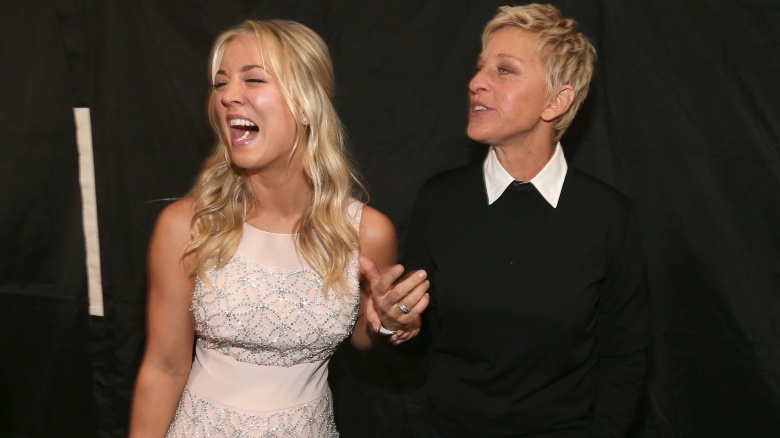 Cuoco told Entertainment Tonight, "From day one I just knew immediately and it's been magic. We have all the same family friends. We grew up with the same people, we just never met." Maybe that's because they weren't meant to…! Cuoco scrubbed her entire Instagram clean of every photo and reference she's ever made to Sweeting. And there were a lot of those.